August 2018, in only eight months the number of manatee deaths in Florida has already surpassed the total for all of 2017, according to a report by Public Employees for Environmental Responsibility (PEER). On August 12th, the number of manatee deaths recorded in this year reached 540, in comparison to 538 manatee deaths in 2017, PEER said citing data from the Florida Fish & Wildlife Commission. Experts believe that the spike is caused by cold weather and toxic red tide algae. If manatee deaths continue at this rate for the remainder of the year, 10% of the manatee population of Florida will perish, the PEER report said. “Florida's manatees have no defense against this ecological disaster”, PEER Executive Director Jeff Ruch said in a statement. “Red tide algae poisons both manatees and their food supply”. He warned that Florida's “steadily declining water quality is a death warrant for the manatee”. Red tide blooms are fast-growing colonies of algae that often turn the water red and are common in the Florida area. 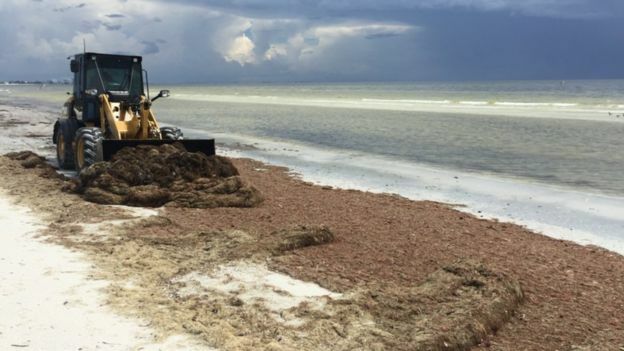 The blooms have ravaged marine life, causing the death of fish, sea turtles, manatees and causing a whale shark to wash ashore. It is the massive influx of chemicals (fertilizers and various pollutants) that promotes the exponential development of red algae. 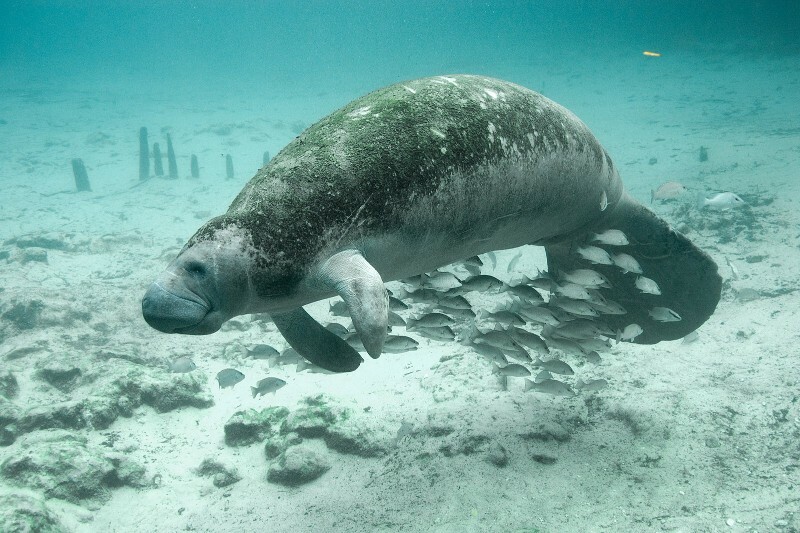 While manatees don’t eat fish – they eat sea grass, among other greenery – they are affected by the red tide in various ways. Manatees absorb a toxin through their skin, inhale the toxin when they breathe, and eat the plants that have the toxic algae on them, said Marilyn Levy Odea, a conservationist and Florida master naturalist who volunteers at a science center in Lee County, along Florida’s south-west coast. A state of emergency for seven counties dealing with an unusually lengthy red tide algae bloom was declared this month by Florida Gov. Rick Scott through an executive order. The Cousteau Society and Equipe Cousteau are working to lobby governments for environmental laws, promote ocean research, and communicate important messages about the environment and the planet’s wellbeing on a larger scale.